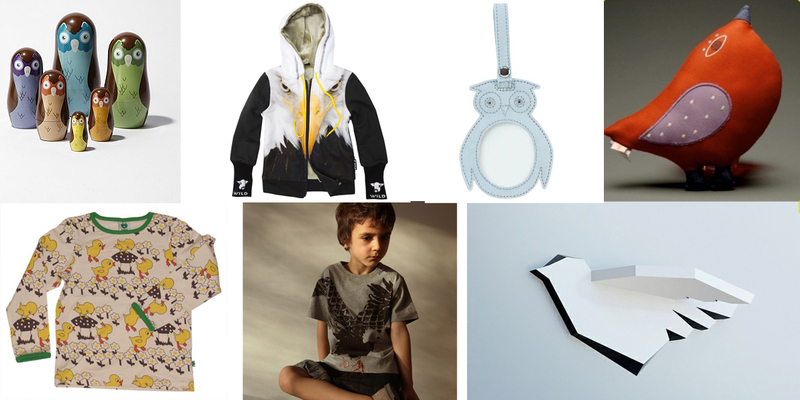 Owl Lamp from Mod Cloth, Green Parrot Tee by Yporque, Owl bathrobe by Dwell, Owl tee by Smafolk, Feather Tank top by Wild, Juice boxes by Mats Ottdal for Jeksel (they should really produce these, this is only a prototype! 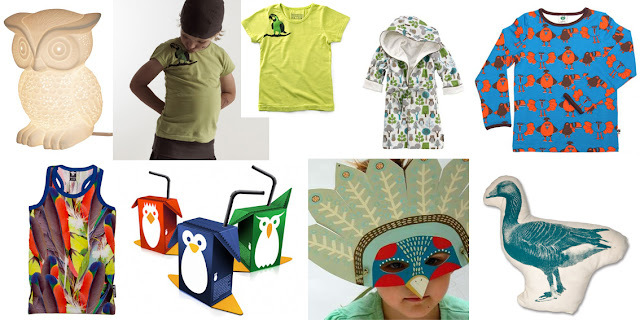 ), Paper mask by Zid Zid and pigeon pillow by Areaware. Nesting Owls at Urban Outfitters, crazy cool zip-up by Wild, luggage hangtag by Dwell, birdie plush by Zid Zid, Tee or PJ's by Smafolk, awesome eagle tee by Soft Gallery , and Flying bird shelf by Marisko Studio. 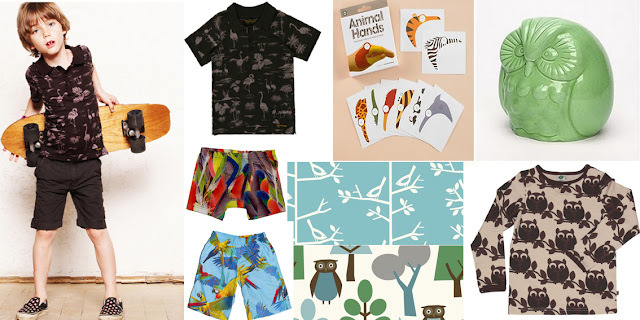 Flamingo Tee-shirt by one of my favorite brands Finger in the Nose, Animal Hand Tattoos from Land of Nod, Owl bank from Urban Outfitters, feather underwear and parrot bathing suit by Wild, sparrow and owl wallpaper by Dwell, and owl tee by Smafolk. 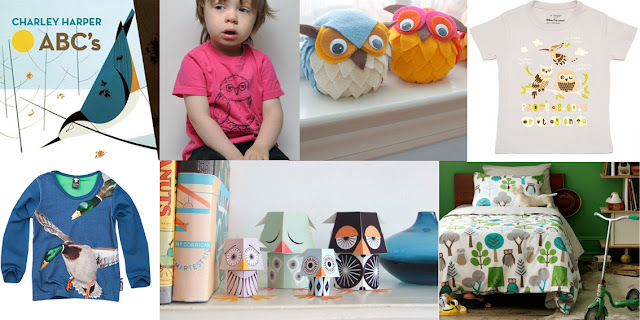 Abc's book by Charley Harper at Genius Jones, Cute Hot pink owl tee by KTL , little owls to make yourself at Martha Stewart, Bird tee by Coq en Pate, Duck tee by Wild, Cute print and make yourself paper Owls from Etsy, and Owl bedspread by Dwell.